A 'state of the art' guide to pottery analysis providing information on recent scientific developments and the latest statistical techniques. The book will be essential reading for students, field archaeologists and anyone interested in working with pottery. The study of pottery in archaeology has become increasingly important over the last century, providing the archaeologist with information on many aspects of the past, including chronology, trade and technology. In recent years, scientific developments and statistical techniques have contributed still further to the analysis of pottery. Pottery in Archaeology covers information obtained from over fifty years of practical experience in the field combined with the latest research. As well as detailing the routine but essential tasks of handling pottery, the book examines the most recent research into the quantitative study and comparison of ceramic assemblages. 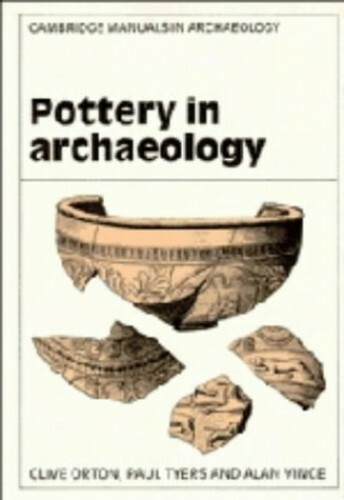 This will be essential reading for students, field archaeologists and for anyone interested in working with pottery.